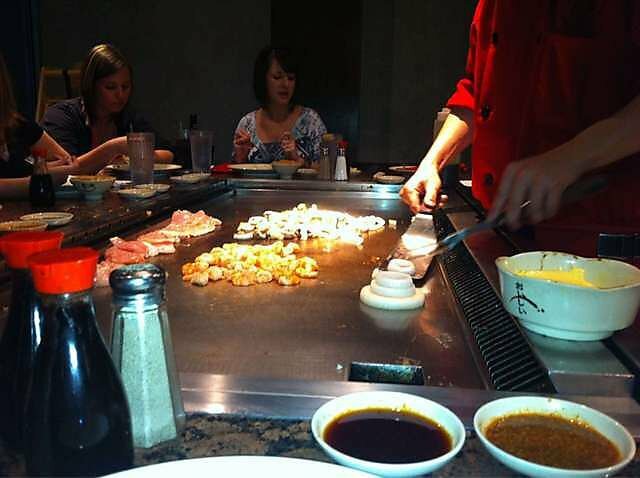 Osaka Steakhouse & Sushi Bar in Tulsa offers dinner and entertainment with a buzzing dining room and exciting hibachi experience. Start your experience at Osaka with an appetizer like edamame, tempura shrimp served with pina colada sauce or lightly fried soft shell crab. Precede your meal with a warm bowl of miso or chicken soup to prepare your palate for the rest of your Japanese meal. 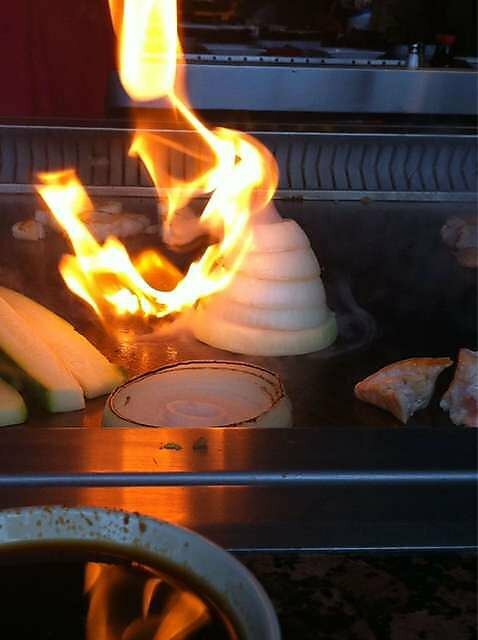 Diners who order sushi are in for a treat. Special handmade rolls are prepared according to ancient Japanese traditions. A favorite is the graduation roll, a traditional California roll wrapped in salmon and topped with tempura flakes, cream cheese, chili and scallions. 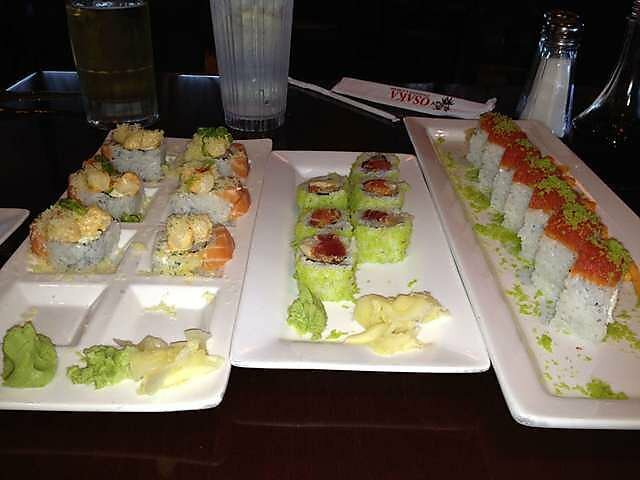 The dinner sushi assortment, which includes a California roll, tuna, salmon, whitefish, yellowtail and shrimp, is sure to please a variety of tastes. Located on E 81st St west of S Garnett Rd.